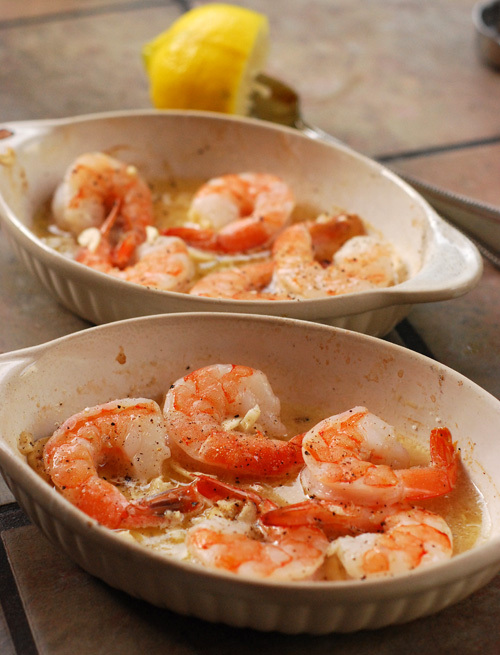 Shrimp scampi was one of my favorite seafood dishes in my late teens to early twenties. 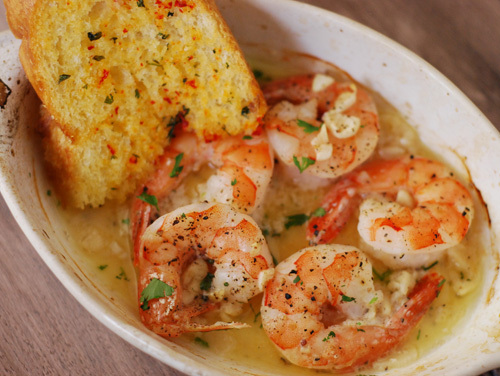 The garlicky aroma, the velvety butter sauce, and fresh Florida shrimp made me a happy dude. So you can imagine my disappointment when later in life I found out that there was no such thing as "shrimp scampi". It was just about as bad as finding out that there is no "Santa Claus". The dish I had been so enthralled with was a lie! Scampi isn't a dish. It is the Italian name for a small lobster also called Norway lobster, Dublin Bay Prawns, or langoustine [Davidson]. 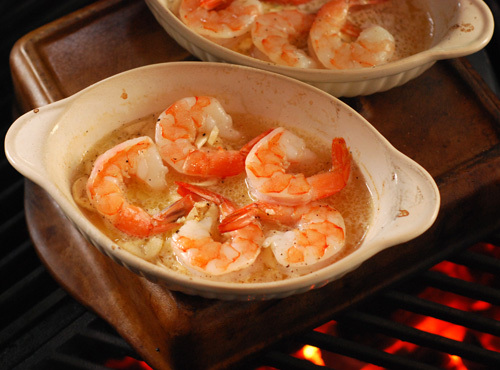 The "shrimp scampi" dishes that typically show up on American menus are shrimp, garlic, butter, and wine. No scampi added. But like the propagandist motto says, "If you repeat a lie often enough it becomes the truth". 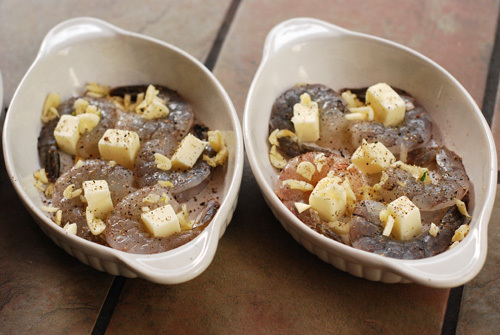 The misuse of the term has been so prevalent that now most dictionaries include a secondary definition of Scampi that includes the American shrimp dish [Epicurious]. 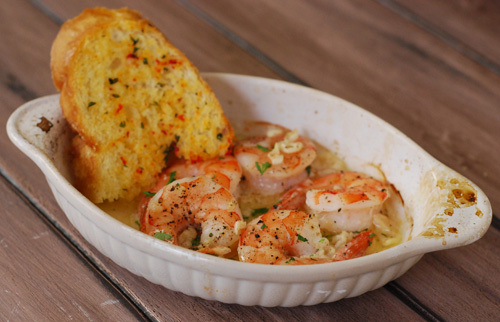 So this is the shrimp scampi dish that I made for an appetizer this week - or it isn't. This is a quick but delicious dish that can be an appetizer or just double the portions and add pasta for an entree. It has minimal prep and cook times. If you're having a cookout or tailgate, this dish is one way to really impress your friends with your grilling skills. But you could also prepare this in your oven or under a broiler. Make sure the butter is touching ceramic so it will melt faster. Instead of the traditional offset indirect method, I just put a piece of stoneware between the dishes and the hot coals. You could do the same with a pizza stone. Shrimp have a built in cooking timer - their tails! This was a big hit for all of us and it disappeared in no time. The toast is mandatory! It is so good to sop up the garlic butter left in the bowl.